Brunswick Plantation is a premier community gated community located in Calabash and directly off of Route 17 South. What a pleasure it is to drive through the gates and be welcomed by lush greenery while flowers and golf course surround you. Situated on over 2000 acres of gorgeous land, Brunswick Plantation is home to many different types of homes. Choose from condos, town homes, patio homes or customize your single family by purchasing a lot and creating your own plans. As you continue past the gatehouse, your eyes will surely widen once you take a look at the exquisite Brunswick House, which resembles Tara, from Gone with the Wind. You won’t see a clubhouse of this magnitude in any other community, that’s for sure. This beautiful building houses the golf pro shop, on-site restaurant, sales offices, and more. With 27 holes, designed by famous golf course architect Willard Byrd, Brunswick Plantation allows all levels of golfers from beginner on up to enjoy this tract that was built to challenge and enjoy. With the warmer temperatures in this region lasting for most of the year, there are many golf rounds to be enjoyed! There are several different “neighborhoods” here to choose from that will fit not on within your wants and needs but also your budget. Each community has its own pool and clubhouse so that there’s never a wait to swim, play tennis or enjoy their expansive library during your down time. Coastal Destination Properties has lots of closed sales and experience in Brunswick Plantation! Of the many things that attract folks to Brunswick Plantation real estate, one of the top 50 Golf Communities in the US, is of course the location. Known as the “Seafood Capital of the World” Calabash is home to many great restaurants, golf courses, health spas, and quaint village shops. Additionally, the pristine beaches of Sunset and Ocean Isle are just a very short drive away with their sandy, pet friendly beaches. 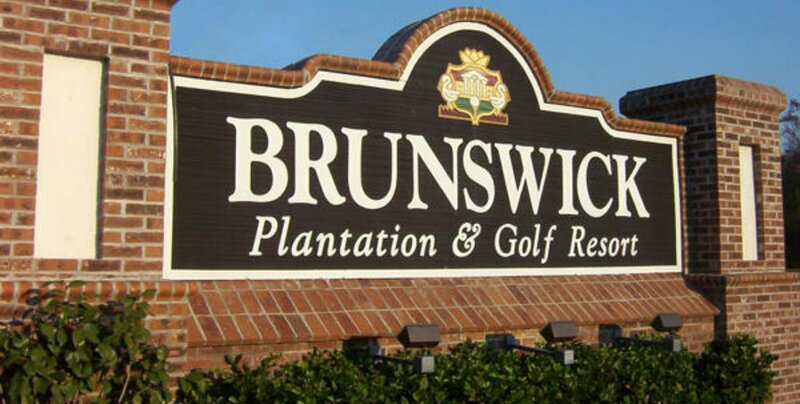 If you would like to learn more about this wonderful community, please contact one of our agents to take you on a tour of Brunswick Plantation. While doing so, we will also show you the surrounding towns and help you familiarize yourself with the area. Coastal Destination Properties' agents have a vast amount of experience with listing and sell homes in Brunswick Plantation and know the area extremely well. You can be assured that you will be in excellent hands with a great Realtor. Give us a call to take your search to the next level! You will love working with us in your search for a home in Brunswick Plantation! Our website features the best Brunswick Plantation & Golf Resort real estate search for homes, town homes, condos, and foreclosure properties available. It is the only site you will ever need! It is easy-to-use and updated by the official Realtor’s database every 15 minutes.